Located in the heart of Notting Hill, Tom Conran's pub remains infamous for oysters, Guinness and Cuban cigars. Diners can eat at both the atmospheric wood panelled bar and their upper dining area. With Conran influences, yellow floral paper lines the walls and large windows open up onto the outdoor drinkers over-spilling onto the street below. 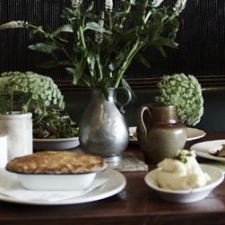 Perfectly fusing pub-comfort with a stylish ambience, this is a very popular retreat for Chelsea locals. The Cadogan Arms offers a relaxed, no-frills but reliable destination for a quick drink or for hosting private parties.